Hewlett-Packard is wielding the axe to another 33,000 jobs ahead of its increasingly feverish break-up in November. First reported by Bloomberg, up to 33,000 positions will be lost. In hard numbers, 25,000 to 30,000 of the lost jobs will be absorbed by what will become Hewlett Packard Enterprise. This figure accounts for roughly 10-12% of the estimated 250,000 that will be employed by that company. 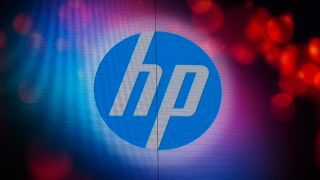 HP has been on a rocky road for some time and the job losses announced today are in addition to 55,000 positions that will already be lost as a result of the split that will see HP operate as two separate companies: HP Inc. and Hewlett Packard Enterprise. CEO Meg Whitman needs to make the latest round of cuts due to the revenue the enterprise side of the business has been hemorrhaging since 2011. Whitman likened the $4 billion (around £2.58 billion, or AU$5.58 billion) in losses to water draining from a bathtub. At the current junction HP is full of money-saving ideas and another is to to move employees from high-cost countries, such as the US, to low-costs areas. By 2018, Mike Nefkens, general manager of enterprise services, said he expects 60% of workers to be located in so-called cheaper countries. The latest round of cuts come after a dollop of bad news just over two weeks ago where unnamed sources pointed to shady practices involving an external company that were geared towards delivering more savings as part of the layoffs. HP now expects the split to cost $2.7 billion (around £1.74 billion, or AU$3.76 billion), up from the previously disclosed $2 billion (around £1.29 billion, or AU$2.56 billion) and you get the distinct feeling that November can't come soon enough for those that still have a job at HP.